Why Can’t I Delete Songs from My iPhone in iTunes? Are you facing 'iPhone Songs greyed out in iTunes'? Are you facing a similar issue of Larry? 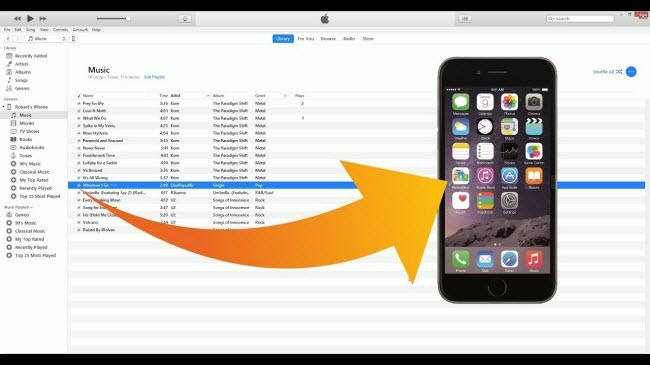 Do you want to know why you songs greyed out on iPhone? Would you like to know how to fix this issue by yourself? Then, learn 'how-to' in the following paragraphs! From the above, we've pointed out that 'iPhone songs greyed out' are always caused by iTunes syncing error. This simply means that if you can employ another media transfer tool in syncing your iPhone songs from iTunes, you'll be able to avoid this error. The best answer and transfer tool for backing up or restoring iOS files from computer/iTunes to iOS is iMyFone TunesMate which has been highly spoken by lots of media, like Getintopc, Geekreply, etc. Aid you to easily bypass iTunes restrictions and unknown iTunes errors. 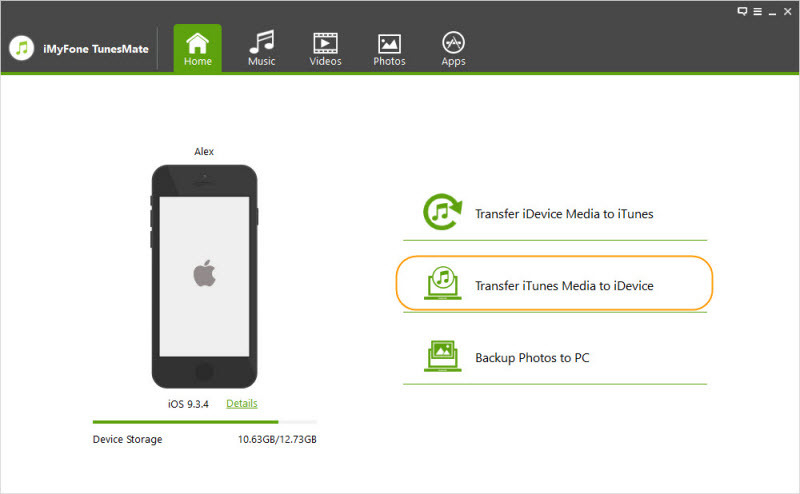 Transfer iOS files from iTunes/PC to iPhone/iPhone/iPad without ever opening iTunes. All iOS media files such as music, music video, audiobooks, podcasts, iTunes U, playlists, etc. are supported. 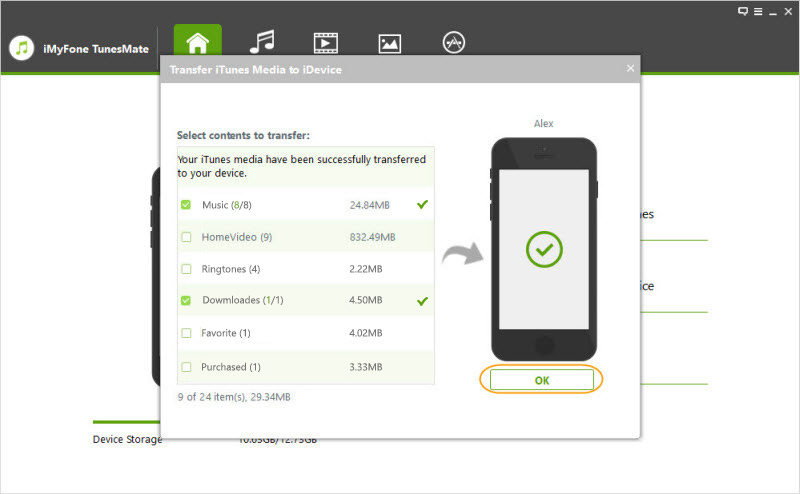 Non-purchased files can also be two-way transferred from/to any device. Step 1: Download, install and open iMyFone TunesMate, then connect your iPhone/iPhone to your computer using a USB cable. Step 2: From the home interface of iMyFone TunesMate, click the "Transfer iTunes Media to iDevice". It will scan all the media files in your iTunes library and show them in list. Step 3: All the media files will be checked by default. You can uncheck the specific types you do not want to transfer. And click "Transfer" button to begin the transfer process. Step 4: When the transfer process finished, click on OK button. Then open your iPhone and tap the transfered music, you can play them on your device freely now! Instead of automatic file syncing (which may be the cause of the greyed out songs), you can manually manage content on your iPod touch, iPhone, or iPad using iTunes. This option allows you to add specific contents from your computer to your iPhone. Step 1: Connect your iPhone to your computer and launch iTunes. Step 2: Select the songs you would like to add to your iPhone from iTunes library. Step 3: Look at the left sidebar of your iTunes, you'll see your device name. Drag the songs and drop them on the device. Step 1: Connect your device to PC and launch iTunes. Step 2: Locate your device icon, and click on it. Step 1: Go to iTunes and click on the track that is greyed out. Step 2: Right-click on the song and select Get Info, then click File. The song format will be listed on the info page. If you see “Protected” next to Kind, it signifies that the song is DRM (Digital Rights Management) protected, and is unsupported by iPhone. The way out of this situation is to subscribe to Apple Music or use a transfer tool to remove the restriction on the song. Step 1: To delete songs on iTunes, launch iTunes and click iTunes Stores > Account > Purchased. Select the greyed out songs and delete them. Step 2: To delete songs on your iPhone, launch your Settings app, and click General > iPhone Storage > Music > Downloaded Music > Edit > Red Button on top of artist > Delete > Done. You can now re-download these songs on iTunes and re-sync them to iPhone.